We have been growing plants the same way since the dawn of agriculture. The main components are soil, water, sunlight, and nutrients. Traditionally the nutrients that were naturally present in the soil sufficed food production requirements. Ever since the 1960’s in India the advent of the agricultural revolution also known as the ‘Green Revolution’ promoted intensive agriculture with the help of the chemical inputs to replenish the nutrition in the soil after a farming cycle. Over the last 4 decades, this has led to a systematic degradation in the health of the soil because of overuse of these chemical inputs. A new approach to farming is the need of the hour. One promising technology is hydroponics that completely eliminates the dependence on soil and switches the nutrient delivery channel to water. There are a few new large-scale hydroponic farms in India. This is the first step into a greener more responsible future. Large-scale hydroponics in India was only a pipe dream until a few years ago until the water problems reached a level of criticality that was unignorable. The main issue that critics cited against hydroponics was the cost of hydroponic farming in India. But as with any new technology large scale hydroponics components in India are not readily available and require to be imported. This adds to the high cost of hydroponic farming in India. 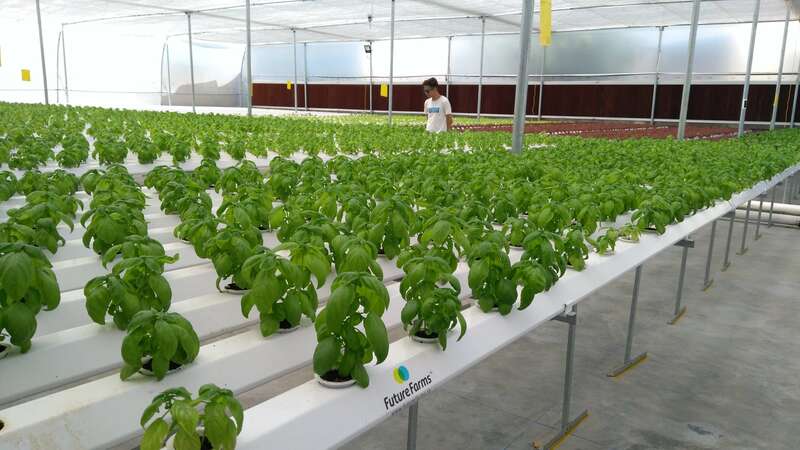 But a few promising new hydroponics equipment suppliers in India are working to indigenous a lot of the components to reduce the cost of hydroponics farming in India and make large-scale hydroponics in India a viable investment or startup option. Large-scale hydroponics in India at best is a 4-year industry. So the cost of hydroponics farming in India reflect the nascent nature of the industry, lack of hydroponics equipment suppliers in India means that there are no competitive pricing pressures. Hence early movers into the large-scale hydroponics in India have a clear pricing advantage. This is keeping the cost of hydroponic farming in India in the premium range and is an option open to only a select few especially corporates that are interested in large-scale hydroponics in India. Another large driver of the industry is the government. Today the govt is still in the process of recognizing large-scale hydroponic farming in India as the possible solution to aid in the easing food production challenge in remote regions that are food deserts. Cleverly designed financing options with market support and technical outreach the government can play a big role in the adoption of large-scale hydroponics in India. By diverting some of the subsidies that are available to water and labor intensive agricultural initiatives towards large-scale hydroponics in India the government can incentivize farmers to take up large-scale hydroponics in India by bringing down the cost of hydroponics farming in India.